As we approach the end of March there are big questions to be answered and decisions to be made. NO, I’m not talking about Brexit that’s beyond my understanding. I’m more interested in the start of the Flat season. On one of the social media sites, I’m a member, one of the tweets (why didn’t I just say twitter?) was by a guy who was complaining how many days this week there is NO flat racing. I sympathise totally, I hope he understands my frustration waiting for the start of this year's 2-y-o campaign. Over the last few months, I’ve been preparing and trying to get what I believe to be an edge. My main interest is in this seasons sires having their first 2-y-o place their hooves on a course, First Season Sires (FSS). 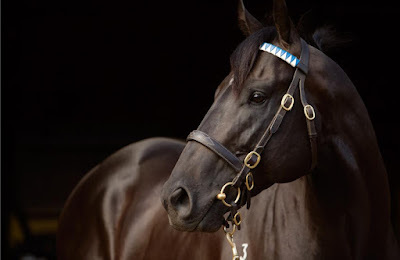 I have posted my FSS list earlier on Thursday, 28 February 2019Bejabez Ramblings - 2019 First Season Sires (Karakontie). As I couldn’t wait to get going last week I looked at the Big Race Entries on the Racing post and had a look at the following four 20 July Newbury: Weatherbys Super Sprint Stakes cl2 (2yo) 22 August York: Goffs UK Premier Yearling Stakes cl2 (2yo) 12September Doncaster: Weatherbys Racing Bank £300,000 2yo Stakes (2yo) 5 October Newmarket: £150,000 Tattersalls October Auction Stakes cl2 (2yo). I don’t know if it gives me an edge or even helps to find future winners based on breeding, however when I do this type of exercise it does allow my little grey cells to wander, and surprisingly give me food for thought. Let me try to explain based on what happened when I looked at the first race in the list above 20 July Newbury: Weatherbys Super Sprint Stakes cl2 (2yo). Currently, there are 224 listed horses, and yes I looked at each one, my main interest was the sire as NOT all these would be FSS. It was interesting, well to me, how many were by FSS. After deciding to look at each sire (FSS) in turn I was surprised how many Brazen Beau progeny had previous runs. I was really wandering now (and wondering) I had to know more about this FSS I had listed, well at least look at the stats. At the time of writing Brazen Beau (pictured) has had 15 progeny who has taken part in 26 races. The best of these are Accession: Tassort: First Dawn. Now how is this possible if our new flat season hasn’t started and we have not had any 2yo races in the UK. Well, there’s the answer in the UK: Australia in the Southern Hemisphere their 2yo horses are allowed to run after August 1. It, therefore, is important to note the date of birth e.g. 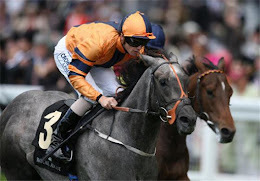 Accession is listed as 2yo born 7 September 2016 Just taking another horse at random from the 20 July Newbury: Weatherbys Super Sprint Stakes cl2 (2yo) Almuerzo Loco by Zebedee is listed as being born 2 May 2017. I’m not saying these horses will ever meet but if they did one would be 7 months older giving a clear age and maturity advantage without giving any weight for age. Therefore as another part of assessing the race, it may be an advantage to note the birth date. I’m off now as I’m going to look at the first 2-y-o Race of 2019 which will be run at Naas 1:30 this Sunday 24th March. This will whet the appetite for the 2019 Brocklesby Stakes. Foot Note: In my earlier post I didn’t mention Brazen Beau, perhaps I should have, also the most progeny listed in the race above is 18 the sire being Gutaifan which I did list.